Slay the living! Raise the dead! Paint the sky in crimson red! Ironically, his first topic was on pest control? Maithly seems to copy a user's last post and post it randomly somewhere. Almost seemed like a real hint request for a second. Not 100% sure, but judging by the dodgy link, lack of other posts, and Google-Translate-esque English, this seems to be a spammer. 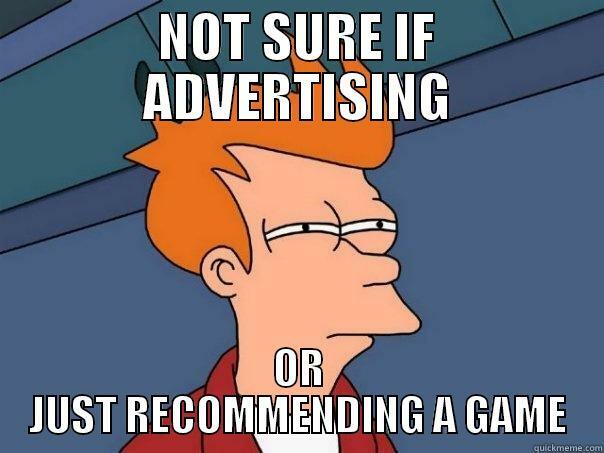 Especially considering the adfly links. Another one of those who seems to copy a user's last post and post it somewhere. Well, at least this guy's straightforward about his spam. Hmmm... I still don't like his fake avatar generates an automatic load on my end. And it seems my adblocker doesn't block it. How about we stop supporting external avatars for people with low ranks? This one is trying to advertise something. There seems to be more when nothing is happening. Dude, we just got another one. This from "fernandoadom" looks off. This guy. Advertising for his game. a) His first two posts are about (presumably) his game. b) No description, no explanation of why he's recommending it. c) The title of the game is written in spamspeak. This guy is still around. He should go. Why? Annoying perhaps but spammer? 'His' posts contain things copied exactly from other posts in the same thread. Ok, I see now. His post contain things copied exactly from other posts in the same thread. This is a pretty obvious spambot. Guys, don't waste your mod points on spammers. They'll get disabled anyway, you can't provide negative reinforcement to a spambot's behavior, and nobody's going to mod them up enough to post links and stuff. Well, for starters, they have posted in the wrong board if they want to promote a game. Secondly, It does seem a little odd that the first post he makes just happens to be shamelessly promoting their own game. Furthermore, he has a link to a product in his sig so I'd say no, this isn't allowed, although it's Schik's decision not mine. I thought that we normally don't allow people to post links if they are under 11 rank points. If that is so, the signature is a way to cheat around that restriction. Not only is it the wrong forum, it's a choice that's extremely unlikely for a human to make, but certainly realistic for a spambot that's scanning forum titles for keywords.